The journal has undergone an upgrade in software. It has a new look and some glitzy new features. One of them is the most read articles. Please share journal content using the new social media buttons for twitter and blog. We are delighted to announce that Professor Rosemary Barberet, John Jay College of Criminal Justice, New York, and Professor Richard Sparks, Professor of Criminology at the University of Edinburgh, have joined the International Editorial Board of Journal. They join the company of distinguished 72 scholars from 19 countries. The International Journal for Crime, Justice and Social Democracy has been ranked by Scopus as the top Law journal in Australia and in Q2 (second quartile) by Scopus for Journal Quality - a not insignificant feat for a new journal from the global south. Jerjes Aguirre and Leco Casimiro, both from Mexico, have won the Justice Prize 2016 for the best paper published in the International Journal for Crime Justice and Social Democracy in 2016, titled "Democracy and Vigilantism: The Case of Michoacán, Mexico" . The award will be presented at the international conference on Crime and Justice in Asia and the Global South, 11-14 July, Cairns. Knowledge is a commodity and knowledge production does not occur in a geo-political vacuum. The geo-politics of knowledge is unequally skewed, privileging the global north - Anglophone social sciences. Southern criminology as a democratising project aims to address this. This special issue provides a space for interaction between diverse global voices - read on and share widely. Its free to download. The latest issue Vol 5 (4) of the International Journal for Crime, Justice and Social Democracy has just been released. 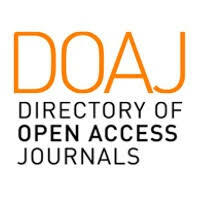 The Journal has achieved DOAJ recognition of approval. This is a global independent indicator of journal qualtiy. We are pleased to announce that the journal in now supported by an updated and significantly improved version of the software. Authors can now see their PDF downloads, from 6 December 2015 to date. We can track source country and other informative indicators. In total there have been 166,083 abstract views and 109,101 full PDF downloads. The true international nature of journal is reflected in the fact that 3 out of every 4 downloads come from countries other than Australia.